Denise Howell, Stefan Szpajda and Matt Curtis talk with Nate Cardozo of the EFF about getting rid of DRM, the new Music Modernization Act, is the Amazon Fire TV Recast another Aereo waiting to happen? Congress will hold Consumer Privacy Hearings without consumer privacy advocates, how Cohen and Manafort messed up when using Encryption apps, California's net neutrality rules are illegal according to Ajit Pai, and more! 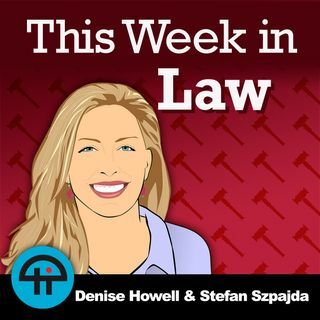 Download or subscribe to this show at https://twit.tv/shows/this-week-in-law.Public list of discussion pointsTWiL on FacebookAttorneys may submit a self-study form to their local CLE board seeking MCLE credit approval. Please check the rules and requirements for your specific jurisdiction before submitting any forms.